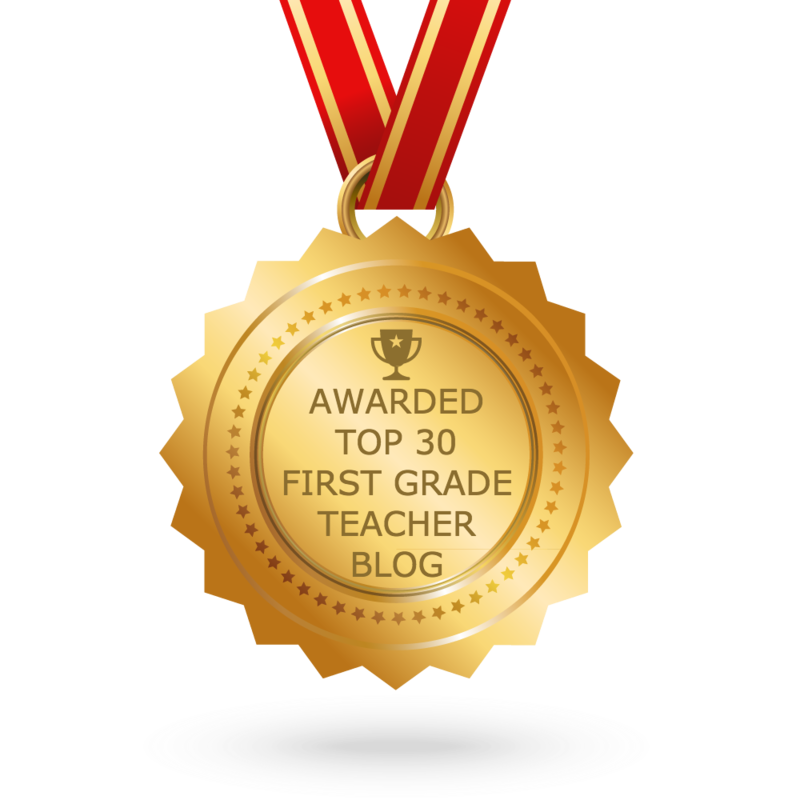 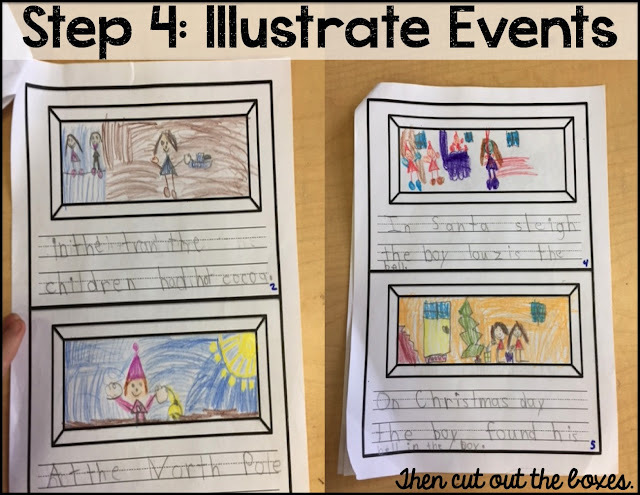 This week I got to go into the first grade classrooms and help out with one of my favorite projects. 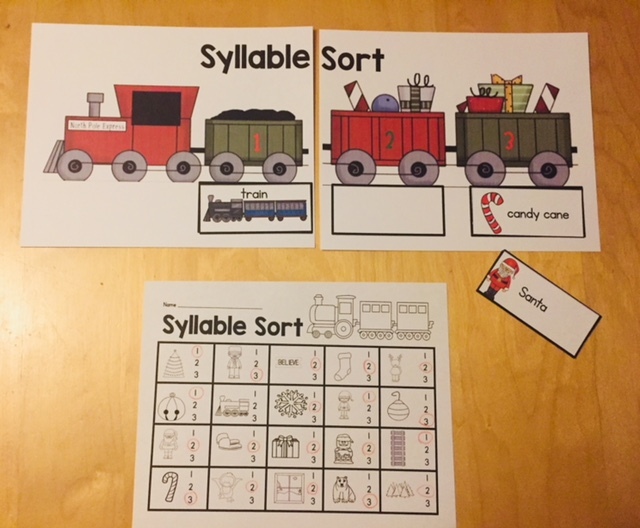 They turned out so cute! 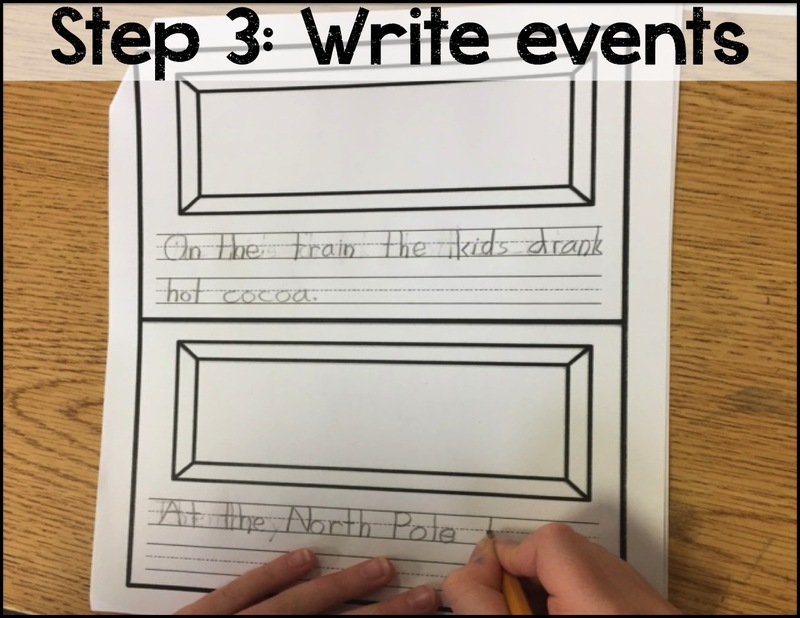 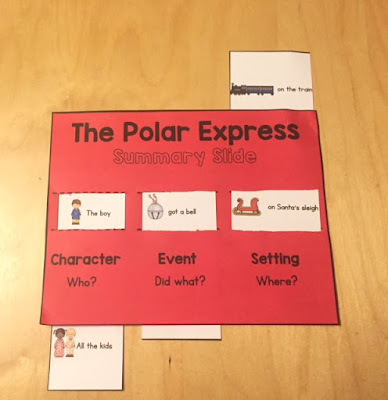 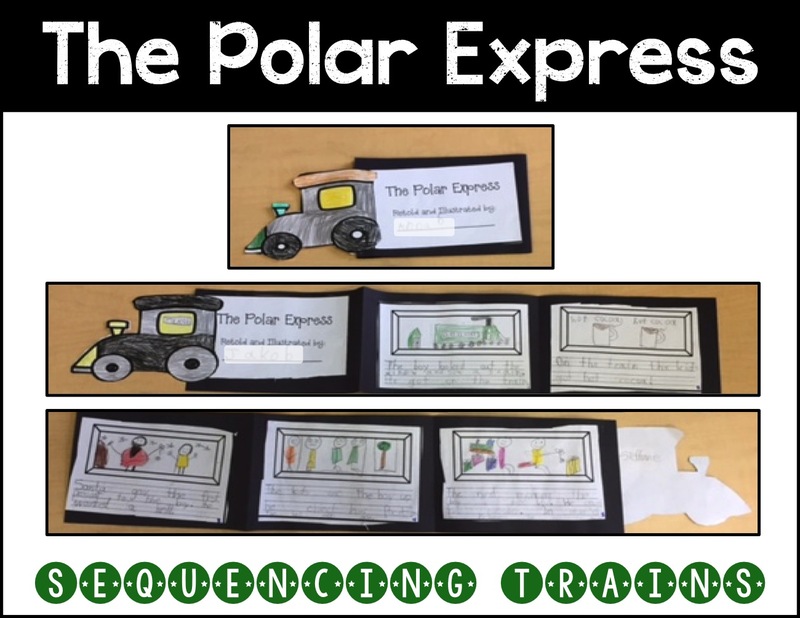 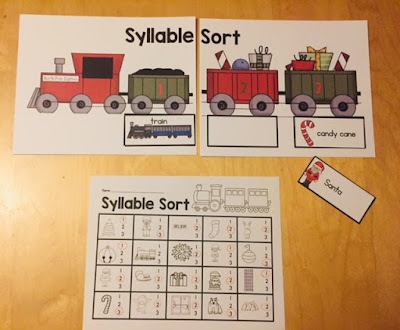 With this activity, students will choose five the main events from the Polar Express, write and illustrate them, and sequence them onto a train. 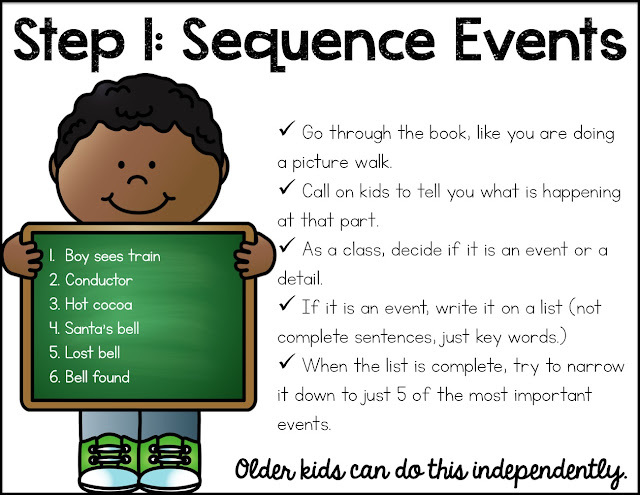 Keep in mind, my directions are for a first grade class. 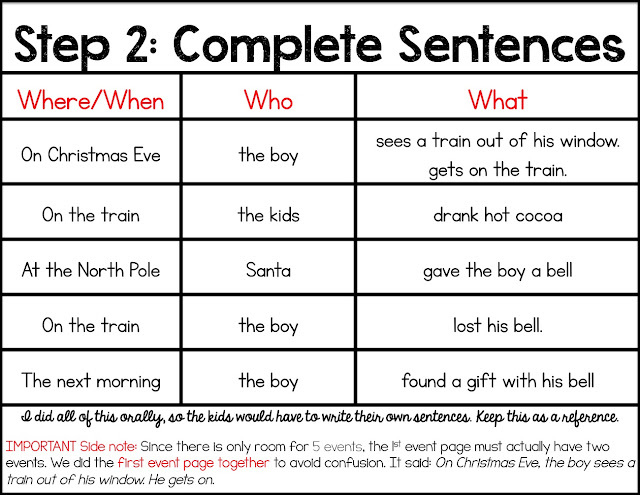 If you do this with 2nd or 3rd, you wouldn't have to do so much scaffolding. 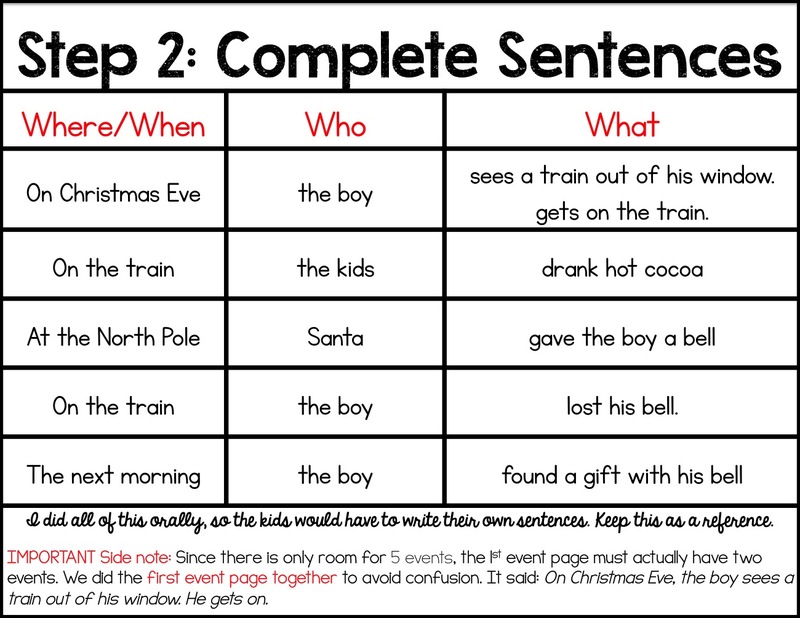 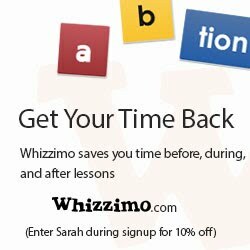 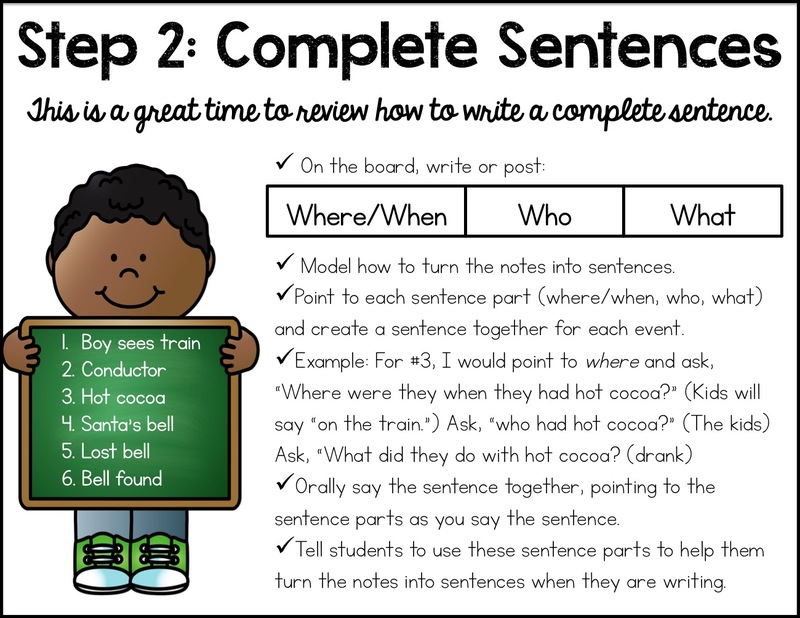 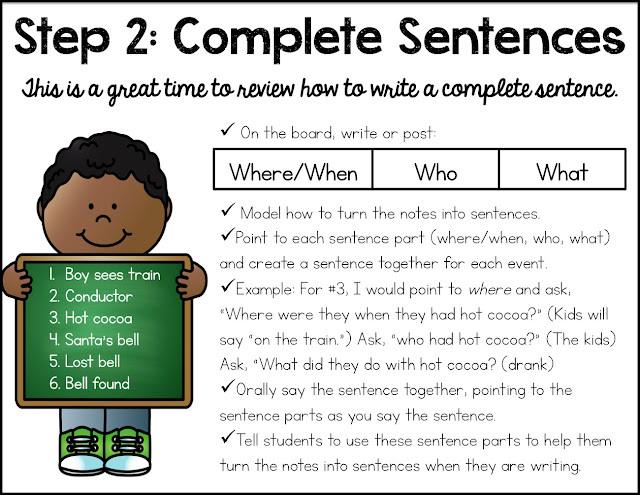 Here, students will use the notes you took as a class and the who/did what/where prompt to write complete sentences about the main events. 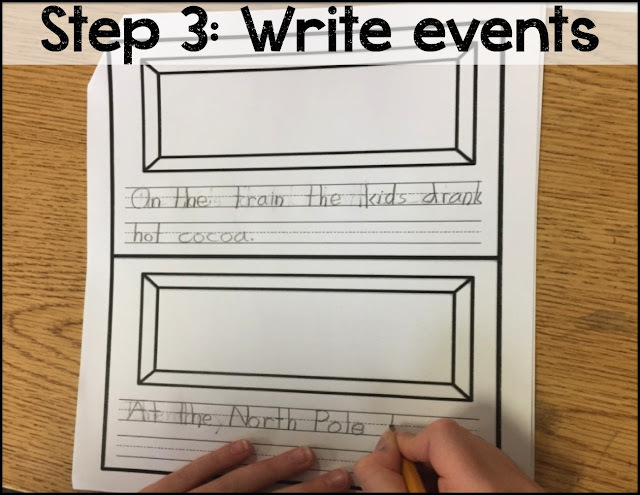 They will write one event on each page. 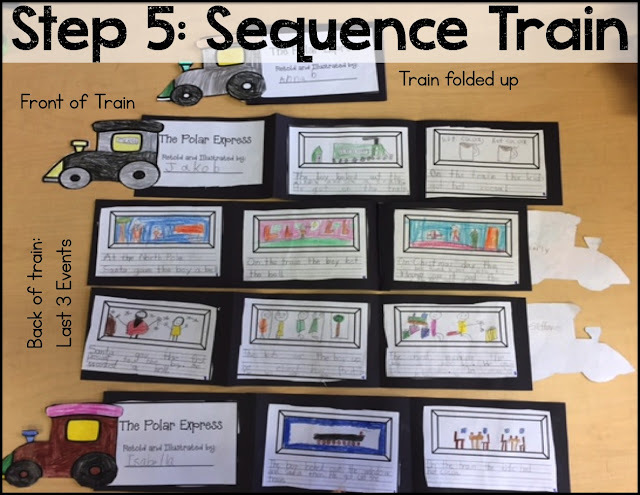 Finally, they will cut and glue all of the events on to the train. The front side has the first two events and the back side has the last three. Last, glue your train head onto the front of the train. 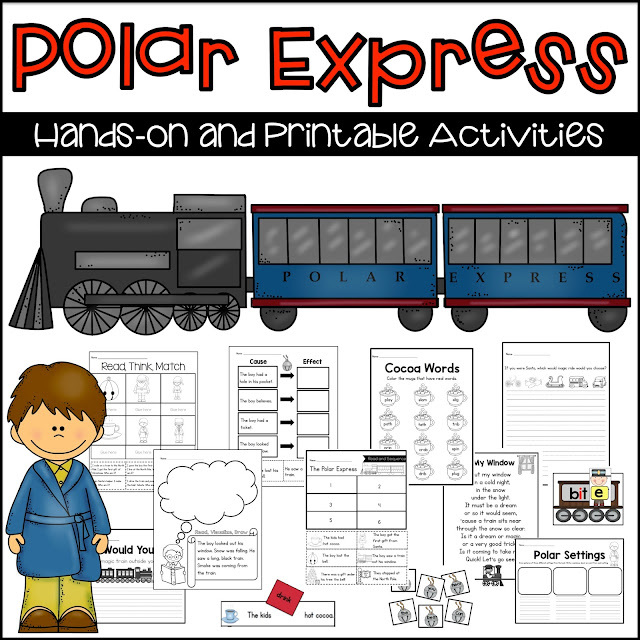 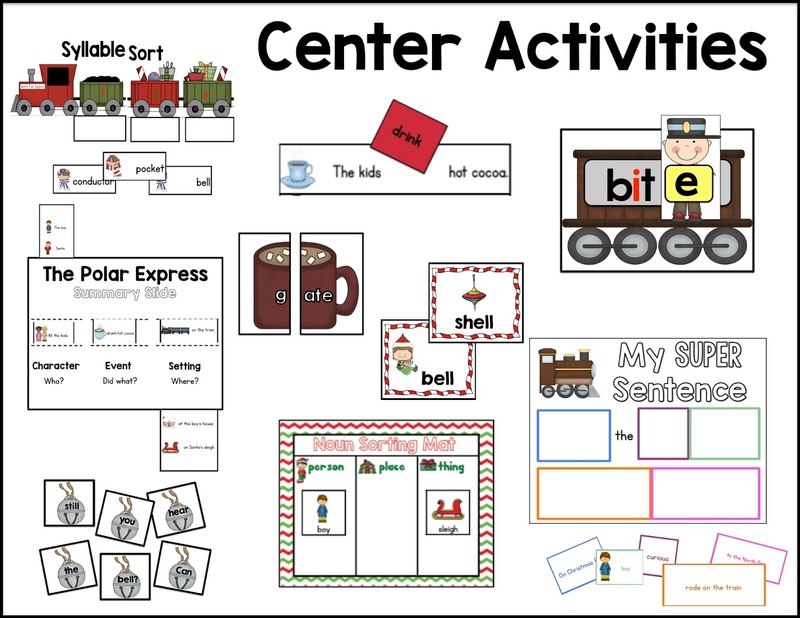 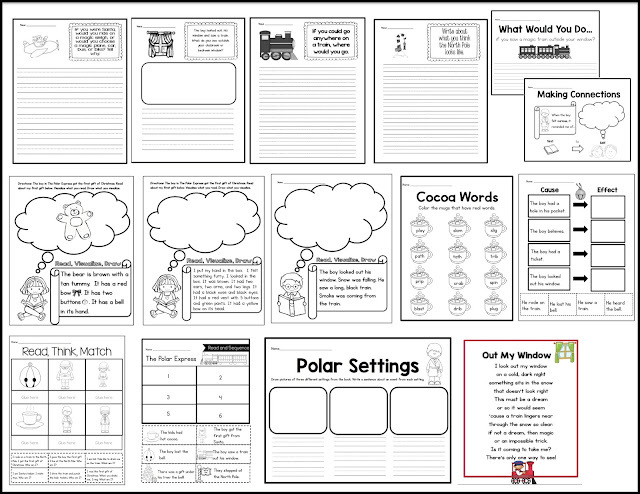 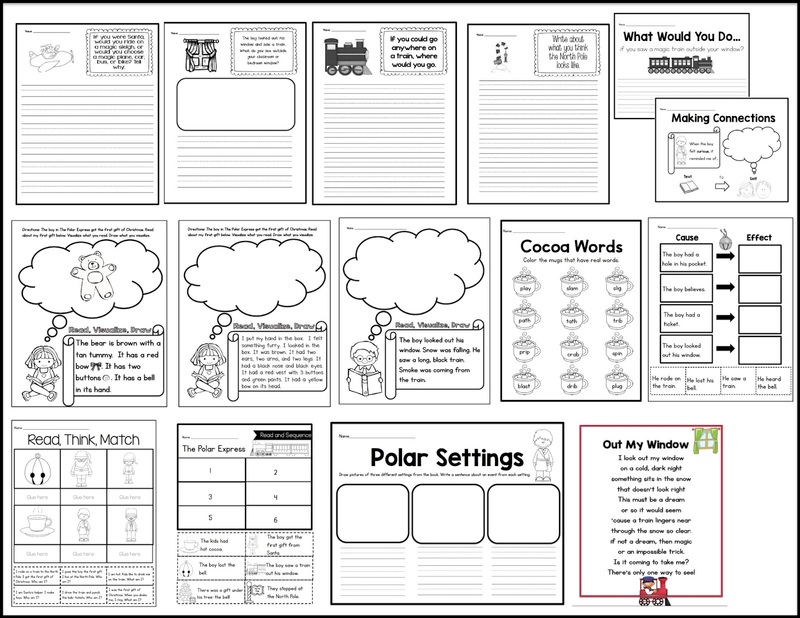 For more Polar Express activities, check out my Polar Express Unit.